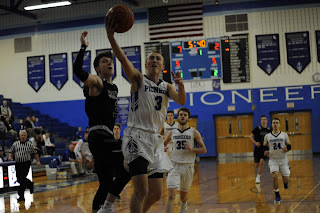 On Saturday, the Lampeter-Strasburg Boys Basketball team continued their winning streak by defeating Lancaster Mennonite, 71-50. This marked the boys tenth straight league victory this season with an overall non-league record of 18-1. The Lady Pioneers took on the Solanco Golden Mules at Lampeter-Strasburg High School Thursday night at 7:30. The outcome, devastating. The game started at tip-off Lampeter got the ball and made a quick first basket. Solanco retaliated making numerous shots. 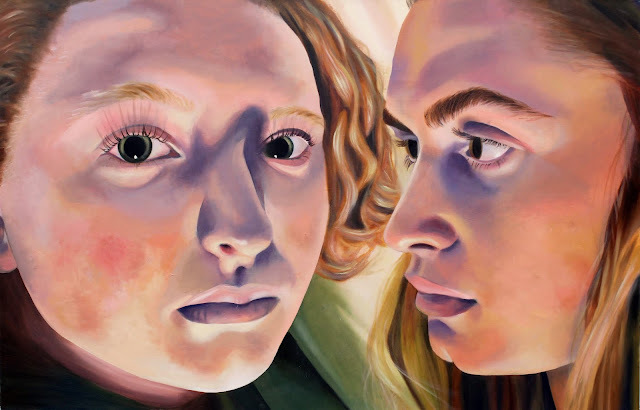 On both sides, the girls gave everything they had. As a team however Lampeter kept their composure ultimately doing their best to catch up with the lead Solanco composed. At halftime, Solanco continued their lead. A few lucky shots on their side poured in. Both sides of the stands were packed, every action demanded loud eruption. Nora Holmes and Jackie Martin were able to shoot several three points to push the score up. Efforts from AB Groff and Olivia Varanich and many others helped get the score up. But ultimately the Mules took the lead and won. The win for Solanco was devastating for L-S. The Pioneers are now tied with Solanco for first place in the section. 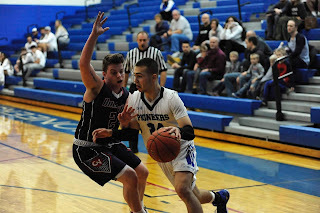 Yesterday, the Lampeter-Strasburg Boys Basketball team once again proved to be too much for Manheim Central, with the Pioneers beating the Barons 53-38. What started as an eyesore with good intentions soon became a great accomplishment for the Garden Spot FFA. In the end of 2016 our chapter received a 1940 styled John Deere B tractor, a machine clearly worked to its limits. Since the start of the school year, students have put their noses to the grindstone in an effort to get this tractor up and running for the 2019 Pennsylvania Farm Show. On Monday night the Lampeter-Strasburg Wrestling team hosted Manheim Central in Lancaster-Lebanon League Section 2 showdown. The 7-0 Pioneers were looking to prevent the two-time defending L-L Section 2 champs from making it a hat trick. The whole match was close and had everyone in attendance on the edge of their seats. Some people got "tech falled" (which means scoring more than 15 points against your opponent during a match), some got pinned, and some pinned their opponent. The Pioneers knew that this meet was going to be a close one, but no one anticipated that the meet, and ultimately the section title, would come down to the very last match. This was it. The team score was 34-35 with Manheim Central winning. If the Pioneers won, they would become section champs. If they lost, many dreams were going to be shattered. 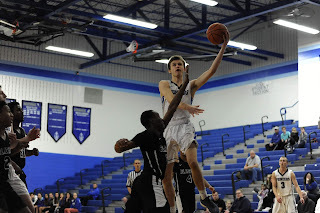 On Saturday with a snowstorm overshadowing the proceedings, the Lampeter-Strasburg Boys Basketball team hosted Conestoga Valley in a non-league matchup. The Buckskins proved to be no match for the Pioneers who won 51-39. The Pioneers are currently 15-1 non-league and 8-0 in league play. The Garden Spot FFA Chapter started 2019 with hard work, awards and recognition, memories, and plans for the future! FFA members at Lampeter - Strasburg High School have been preparing for the Pennsylvania Farm Show since the beginning of the school year and their efforts finally paid off this week. 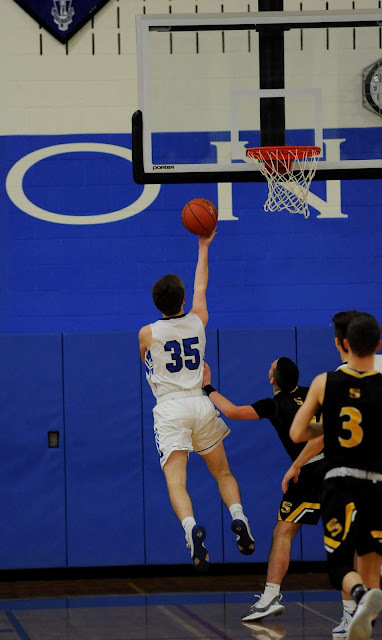 The Lampeter-Strasburg Boys Basketball team (6-0) hosted the Golden Mules of Solanco (league 2-4) on Tuesday. The District rival proved to be no match for the Pioneers who won 53-36. At halftime, the Lampeter-Strasburg Softball team was presented with their 2018 State Championship Banner that will be hung in the gym. Solanco girls varsity basketball team, one of the toughest teams to beat. Shooters. Strong. Aggressive. Determined. These are all words you can use to describe the girls' team. Coming from a loss, they are ready for the win. This game to them is one of the most important games of the season for them and they want that win. They've been waiting for the day that they could beat the Lady Pioneers. For 25 games straight they have lost to them. This win could be the beginning of something new and great for this team. Lampeter-Strasburg Girls Varsity Basketball team, number one in their division. Fit. Athletic. Fast. Aggressive. All around good players. On Friday, January 4, the ninth grade Lampeter-Strasburg Boys Basketball team played against Manheim Central. The Pioneers won the tip-off and started off strong on an 8-0 run but the lack of defense gave Central the edge to come back and make it 8-8. By the end of the quarter, L-S had the lead 16-12. As the game went on in the second quarter both teams went back and forth with scoring and great defense. At halftime, L-S had the lead with a score of 22-20. Central managed to bring the deficit to two points. L-S came out of the locker room strong to keep the lead at 34-30 at the end of the third quarter. If Central wanted any chance at winning the game they would need to tighten up on defense to get some stops for them to be able to score on offense.